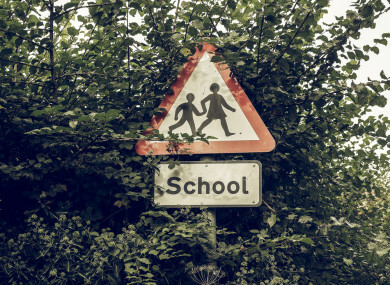 Fingal County Council is urging motorists in the vicinity of local schools to slow down. MOTORISTS HAVE BEEN urged to slow down in the vicinity of schools in the Fingal County Council area. The council has pleaded with drivers to lower the speed in which they are travelling after two incidents involving school traffic wardens occurred during the first week back to school after the summer break. On Wednesday, a school traffic warden was verbally abused by an irate motorist when asked to move their car, which had been parked illegally in the vicinity of a school crossing. The car’s wing mirror then struck the warden as it drove off. Gardaí were informed of the incident and had a visible presence at the school on Thursday. Another incident occurred on Thursday morning, when a car drove through a school crossing in Swords, narrowly missing the school traffic warden, who was in the process of returning to the pavement after leading a group of children across the road. This incident was also reported to the gardaí, said the council. “We are appealing to motorists to slow down in the vicinity of schools and to obey the instructions of our school traffic wardens. The wardens are fulfilling an important role in ensuring that children can cross the roads safely,” said Niamh Russell, Road Safety Promotions Officer with Fingal County Council. She said the two incidents this week are extremely worrying and urged motorists to start obeying the rules of the road. “Otherwise we could end up dealing with even more serious incidents,” she concluded. Email “Gardaí called after motorist verbally abused school traffic warden”. Feedback on “Gardaí called after motorist verbally abused school traffic warden”.